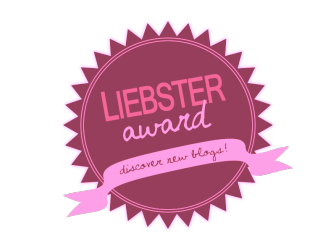 Thank you so much to Corin for nominating me for The Liebster Award, I love the idea of The Liebster Award, it basically boosts the reputation of a blog with under 200 followers and lets you check out new blogs! -How do you spend your spare time? It's too hard to pick! There's loads! -Best 3 apps on your phone? Instagram, Facebook, Twitter, how boring! I have naturally curly hair but it looks so much better straight! -What's your aspiration in life? I love getting dressed up and wearing heels, but to be honest I think I have a really low pain threshold with my poor little feet, so flats. -What is your favourite perfume? -If you could only eat one food for the rest of your life, what would it be? -Where would you most like to visit? -Who is your favourite film or tv character? -What is your favourite book? -What is your favourite nail varnish colour? -Where do you see yourself in 10 years time? -Do you have a meaningful photograph? -What clothing item could you not live without? -Do you have an idol?